There are a lot of different GPS trackers for trucks, cars, and other equipment. Whether you’re a fleet manager for a commercial truck fleet, and equipment rental company, or a construction company, odds are that there’s a GPS tracking solution that’s just right for you. With a built-in OBD-II connector, installing the LMU-3000 tracker is fast and easy. 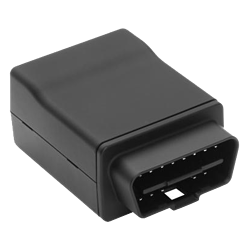 This GPS vehicle tracking device simply plugs into your vehicle’s OBD-II port, minimizing the complexity and cost of installation down to almost zero. Once installed, a top-quality cellular and GPS antenna can receive and just prior to an impact event. This particular device is great for fleet managers who need to track driver behaviors in their vehicle fleets. However, because it is an OBD-II port-mounted unit, it is easy to find and remove. Some vehicle fleets need a highly flexible and reliable GPS tracking system to meet their needs. The GNX-6 is designed from the ground up to be compatible with a wide variety of vehicle fleets and cellular network providers. Configurations for this unit include GPRS/EDGE/HSPA, UDP/TCP/TFTP/SMS, and 1xRTT. The unit has six separate inputs for receiving data from various vehicle systems (3 hi, 2 low, and 1 analog). A 2.1A switched output and low-energy Bluetooth capabilities, combined with the device’s packet data and messaging integrations round out the I/O capabilities. This multitude of inputs and outputs allow strong activity monitoring and peripheral support—making the GNX-6 highly customizable to the needs of your fleet. An optional internal battery backup makes the GNX-6 a great antitheft solution. 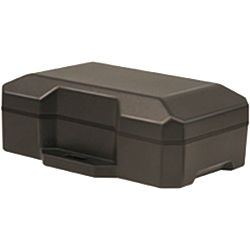 Even without power from the vehicle, the GPS tracker can still use the reserve battery power to transmit its position. The GNX-6 is a near-perfect solution for any vehicle fleet because it provides strong antitheft security as well as robust integrations for monitoring driver behaviors and engine status. Rather than tracking a fleet vehicle or other large asset, sometimes you need to track a lone worker, animal, or small asset. The thumb-sized button on this device allows a lone worker in the field to trigger an immediate alert, helping to minimize response time in an emergency. Also, geofencing compatibility and a built-in 3-axis accelerometer allow you to establish a set operating area for personnel or get an alert right away if a tracked asset moves suddenly. Pet tracking: private sector users can clip the device to a pet’s collar for easy tracking and alerts if the pet leaves the area (no more “have you seen Fluffy?” posters). The water resistance feature is particularly valuable for keeping the tracker working when tagged pets go through water or heavy rain. Worker Tracking: Keep an eye on workers in the field to see where they’re at. Also, improve worker safety by giving them an emergency button to push if they need help or medical attention. Asset Tracking. The GL300VC’s built-in accelerometer and low power consumption modes make it great for keeping an eye on assets in a lot in between uses. If the asset is moved without prior warning, you’ll get an alert right away. Low power warnings help make sure the tracker won’t run out of batteries in the lot, either. 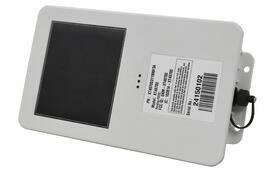 The ability to hook up to an external battery or DC power source can extend the useful life of the GL300VC’s battery. The weatherproofed TTU-2800 is specifically built for reliable, long-term tracking deployments with a single asset. While the TTU-2800 can draw power from an asset, it also has a built-in rechargeable battery pack—making it ideal for managing assets that are normally tethered to 12 or 24-volt power systems but may sit disconnected for set periods of time (such as cargo trailers and rented equipment). This battery backup feature and the weatherproof design make the TTU-2800 ideal for tracking flatbeds and cargo trailers. These assets are often connected to a semi-truck’s power, but may sit unconnected for hours or days at a time in shipping lots or at cargo transfer points. When on a fully-charged battery, the TTU-2800 can last for up to 500 message cycles before requiring a recharge. Not only does this GPS device offer great antitheft functionality for trailers, the built-in accelerometer can provide insights into driver behavior as well as some impact detection. A secondary OBD-II interface and JBus ECU interface support allow the collection of detailed vehicular diagnostic information. Meanwhile, additional inputs and outputs allow interfaces for driver ID, temperature sensors, and more. The XT-4800G brings a different twist to long-lasting, battery-based tracking. This tracking device has a lithium ion rechargeable battery connected to a solar cell. As long as the solar cell gets sufficient light, the battery will keep charging. This makes the XT-4800G uniquely well-suited to long-term field deployments where you need frequent data updates. Normally, the more frequently you update GPS data on a battery-powered unit, the faster the battery drains. But, with the solar energy source, the GPS can recharge in the field. 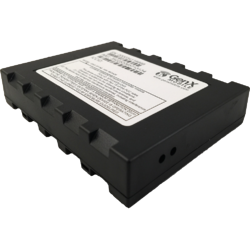 The XT-4800G is ideal for tracking assets in a lot, proving secondary GPS monitoring of trailers, and cargo pallet tracking. 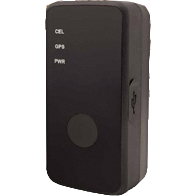 With a 50 channel GPS receiver, the XT-4800G is highly accurate at tracking an asset’s current location. These are just a few of our favorite GPS tracking devices here at RASTRAC. For more information about GPS tracking systems, or how you can use them to optimize your fleet operations, contact Rastrac today!